Nice cover. I got a round one for my fire pit and it fits great, is much higher quality than the one that came with the fire pit, and it was delivered quickly. Fits perfectly, sturdy and definitely rain proof. Arrived on time, excellent product. Went without a hitch. So far, a quality product. Perfect fit. Looks and feels really durable. Nice touches in the details--hold-down strap, draw string and venting. The cover that came with our fire pit was so thin and cheaply made that it was literally ripping after we had taken it off to use the fire pit only a few times. I tried repairing it with duct tape which helped for awhile (though it looked hideous) but upon pulling the fire pit from winter storage and removing the cover, it basically ripped to shreds. 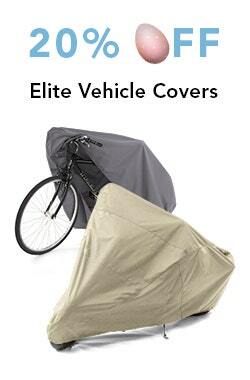 Our new Cover Store cover is the perfect size and high quality, we can take it on and off without fear of it tearing. 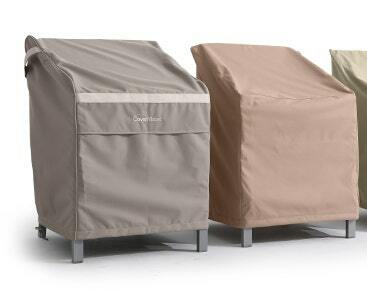 And the color selection was great, we were able to also buy a grill cover to match. It was delivered even sooner than expected. cover was really nice and fit perfectly. i would recommend the coverstore to my friends. i received my cover in a very reasonable time, as it was shipped to canada. it is of excellent quality! 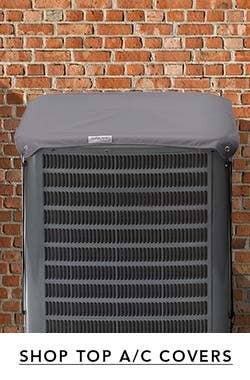 in my opinion when you purchase a $850.00 fire pit it should automatically come with a cover of this quality. i am very happy with my purchase and hope it stands up through the coming winter months too. but for now- this product gets 5 stars!! i live in arizona and the heat and sun just eats up any cover left outside. but so far this has held up well. the rain is another issue, when it rains here it can fill the fire pit with water. this causes all kinds of problems. but, so far no water in the fire pit bowl. i do put a round table top on the fire pit and than the cover. this allows for the water to run off. Great quality! Fits my round fire table perfectly. Easy on and off. good cover. 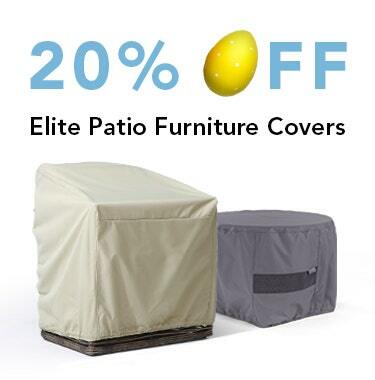 have several ULTIMA RIPSTOP covers for our patio furniture. 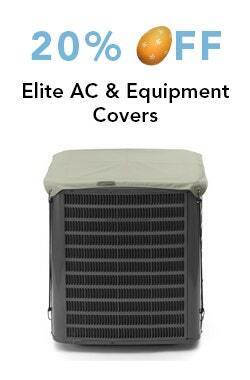 they weather well, and the cover store backs them if there are any warranty issues. good quality and snug fit. 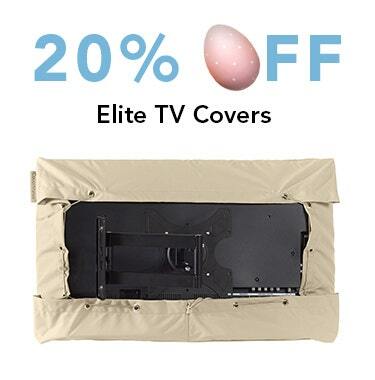 Nice cover, great price! I was a little concerned purchasing something like this online. I have purchased from the coverstore previously and was happy with my purchase and this time was no exception. Good quality cover and it fit my firepit perfectly. I've only used it for a few days but so far it has done exactly what it's suppose to do. Will use the coverstore for all of my future purchases of this type. it fits perfectly! i love every cover that we have bought from the coverstore. they are all well made and fit like a glove. the round fire pit cover is of excellent quality and absolutely beautiful! the only suggestion i would have to the manufacturer to improve is to have a heaver layer of material underneath the top panel as it sits directly on top of my gas fire pit stones so i could immediately tell that i needed to put something in between the cover and the actual stones to keep the stones edges from leaving an impression in the material and /or over time wearing in that area. This is by far one of the most quality covers I have come across. Perfect fit and features I would have never even considered. Great job. Perfect fit. It is clear that this is a high quality cover that is going to last for many years. I am very happy with it. Awesome, the cover was made with quality material. After the winter I will feel more confident to give a better review. But for now I'm very pleased. This cover arrived as scheduled and fit nicely on my firepit. Sturdy and attractive material. Perfect measurements. Completely satisfied with this purchase! Wish we would have bought these to begin with rather than the cheap stuff which we've now replaced twice! 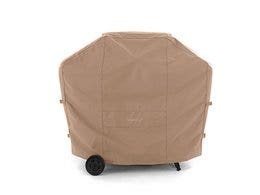 Fits our round firepit perfectly and is just what we needed to keep the rain out! Color matches other covers we've purchased from The Cover Store. The quality is great and the it looks wonderful. EXCELLENT product and EXCELLENT company support! And they make a great gift! 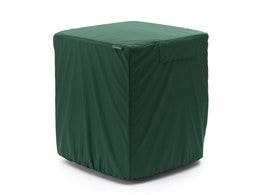 We've ordered these covers for every outdoor item that needs a cover because of their quality, choice of colors, warranty and excellent company support. 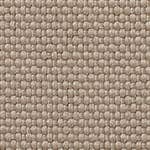 We live in the arid southwest with intense sun and the covers are attractive and very functional. We had a slight problem with tie-down straps rotting and decided to contact Customer Support. We were amazed in their quick response and that they replaced the entire cover (even though we told them we weren't even expecting them to replace the tie down straps!). Unbelievable! 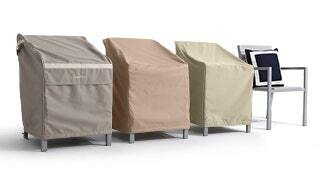 !We depend on these covers to protect our grill, firepits, etc from the brutal wind and weather. They do such a great job that we now give them as gifts!Other companies just don't have the same quality, dependability and customer support! So far so good, good delivery. I didn't want to spend this much on a cover, but I think the end result is worth it. The cheap ones just don't last. Great material and perfect fit. The cover is precisely as described and delivered as scheduled. The dimensions provided were precise and the actual fit is spot on! This is my second cover from the cover store. My first cover is for the grill. It is two years old and still looks great, no leaks or cracks. This cover is for my fire pit. Matches the grill cover and looks great and fits well. 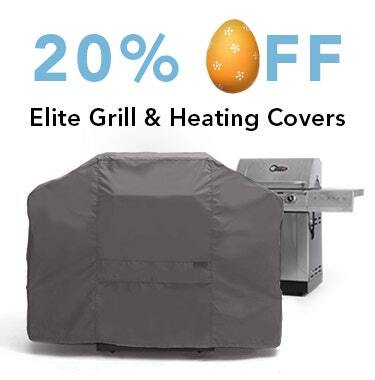 I expect to get the same long life from this cover as I've gotten for the grill. 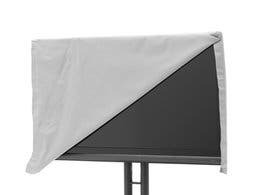 Great product and it was shipped and received in a timely manner. Very pleased, it was exactly what was advertised and the shipping was quick. I already sent a review on your contact website.The cover is fine. I love the cover! It looks great! Exactly what I wanted! Extremely satisfied! 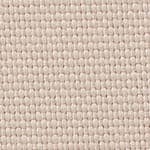 Fits perfect, good quality and looks great! Great fit for our propane firepit! Made it through it's first rain the day after I received it! Thank you! The product was right, the quality is excellent, delivery was prompt, and I'm l loving it.Compare this to a local cover maker who wanted 4 time yourcost, and it was nearly as nice.To say that I'm a happy camper would be top it mildly.  Cover fits great, color is good , excellent quality, delivery was timely. I will have to wait to comment on weather and cat tolerance! Cover is better than I expected. Fits perfect and is long enough to cover everything. 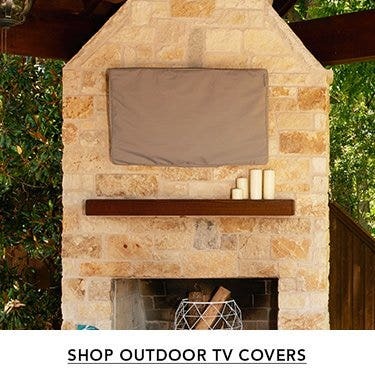 Great cover for the fire pit. 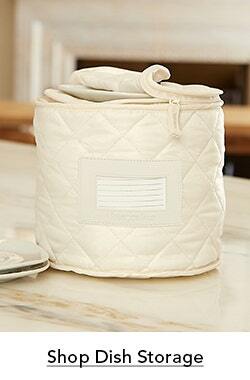 Fit perfectly and has elastic on the bottom to hold firm even in heavy winds. Cover was really good quality and the shipping was fast. Everything went perfect here, will buy from you again!